The final straw: A customer in Ohio called to report the freight line wouldn’t deliver the bed to her home because of her narrow street. 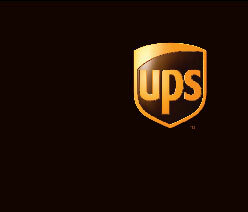 Now, UPS delivers FloBeds right to the customer’s door. Yes, UPS delivers the mattress … and a box spring, too. When a customer visits FloBeds.com, they complete a step-by-step process of selecting the ideal components for each bed and if they wish, even customizing the firmness of each side. Once the order is complete, FloBeds uses UPS Worldship to handle all the shipping functions and generate shipping labels. Normally, each bed ships in five packages. Thanks to UPS’s Quantum View Manage, FloBeds can provide each customer with the location of in-transit packages or specify exactly when the packages will arrive. By providing the tracking details to customers via the Internet as well as telephone, FloBeds is able to reduce service calls. Flobeds customers can conveniently switch out the parts to adjust firmness, using UPS Return Service. Each shipment includes a return label, they just pack it and call for pick-up or drop it off at one of 5,000 UPS drop-off locations. And that’s something that will help you sleep at night. Next → Next post: Sleep for success. . .